This article is 1886 days old. 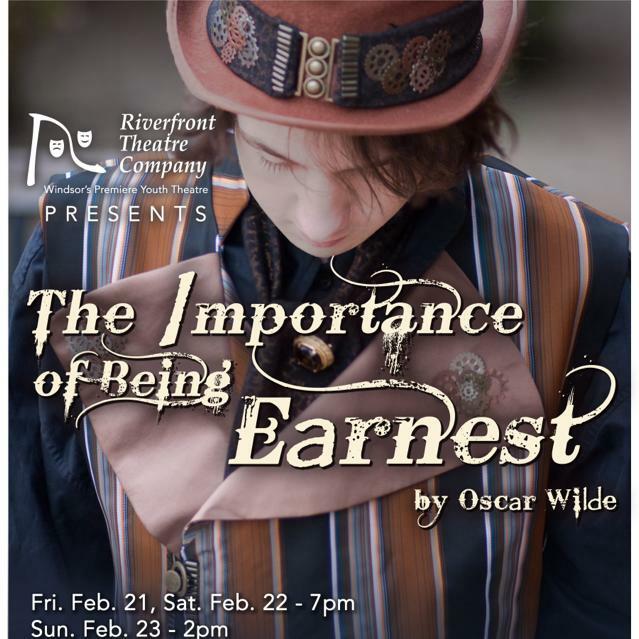 The Riverfront Theatre Company presents Oscar Wilde’s classic Victorian comedy, The Importance of Being Earnest this weekend at the Capitol Theatre. The play runs Friday and Saturday at 7pm and Sunday at 2pm. Tickets are $15 for adults, $8 for students. They can be purchased (cash only) at the door, or in advance at Pause Cafe located at 74 Chatham Street West, Juniper Books located at 1990 Ottawa Street and Anne’s on the Avenue – Village Grove Plaza, Manning Road in St. Clair Beach. For more information, you can email [email protected] or call 519-817-8780.